I've had the pleasure of working in several call centers in my lifetime. To be honest, I rather like customer service -- it is a great job to truly make a difference in someone's life. Look, sometimes when you call a company for help, the person on the other end of the line can be quite... unhelpful. And so, I enjoy "wowing" the customer with top-notch service. There are many different types of call centers and work environments. Cubicles used to be all the rage, but nowadays, the "open office" concept is most fashionable. If you aren't familiar, it is all about taking down walls and opening up communication and collaboration. The problem? For those that work on a phone, this can lead to a noisier environment, causing the representative to struggle to hear. Today, Logitech aims to solve this dilemma with an all new headset. Called "Zone Wireless," it is designed specifically for open office workers that need to focus on voice communication. Since mobile is so big nowadays, you can configure it using either an Android or iOS app. Then, you can easily switch between desktop and mobile without needing to re-pair -- very convenient. "The Zone Wireless interface is incredibly easy to use while on calls or listening to music. Simply push the main button in the center of the ear cup to answer/end calls or play/pause while listening to music. Users can also mute the headset by raising the microphone boom. At the end of the work day, simply fold Zone Wireless and place it on a Qi wireless charger or connect it to the included USB cable for quick and easy charging," says Logitech. 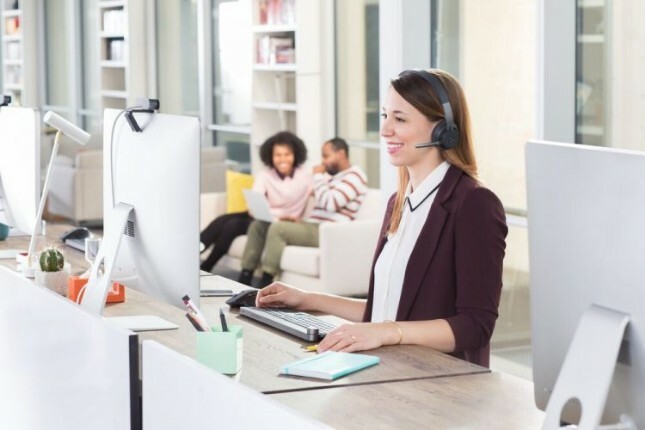 The company further says, "With Active Noise Cancellation, Zone Wireless eliminates background noise so you can focus, regardless of the ambient noise level in the workplace. The soft leatherette ear pad material and silicone padded headband make Zone Wireless comfortable to wear all day, which complements up to 15 hours of available talk time and music. Users have up to a 30m/100ft range, as well as a noise cancelling microphone for greater call clarity." Philippe Depallens, vice president and general manager of Logitech Audio offers the following statement. Many professionals bring their own headphones to work, however they do not address the typical needs of an open office. Logitech Zone Wireless is designed with contemporary style, supreme comfort, and audio call clarity, as well as active noise cancellation and great sound quality for music, whenever and wherever you need it. 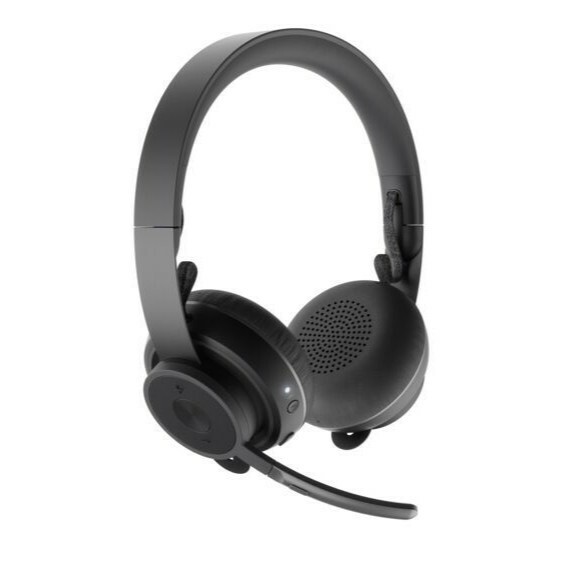 Unfortunately, the Logitech Zone Wireless headset seems to only be compatible with computer-based communication services. In other words, it will work great with your Windows 10 workstation, but if you still rely on a physical phone, such as an older Avaya model, you cannot use this headset with it. You can see the list of confirmed compatible services above. 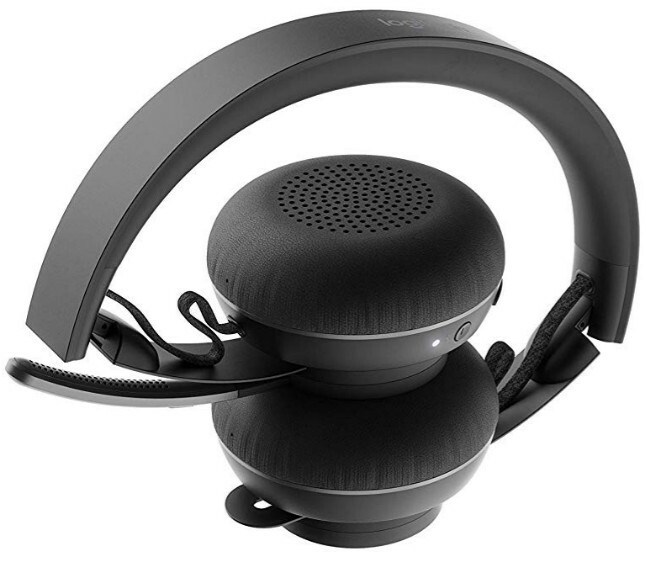 If you want to buy the Logitech Zone Wireless headset, you can order it here for $199.99. It will be shipping out later this month. A "Plus" model will be released in June which will be pretty much the same headset, only packaged with a unifying USB receiver for $50 more.